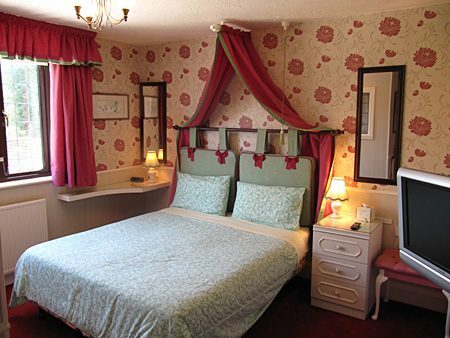 Welcome to Bradbourne House, Bed & Breakfast in Stratford-upon-Avon. Bradbourne House is “A little Gem” of a Tudor-style guest house with a beautiful garden, ample parking and only 8 minutes walk to the Royal Shakespeare Theatre and the town centre. We are a non-smoking house, however, we do have a dedicated smoking area at the rear of the property. 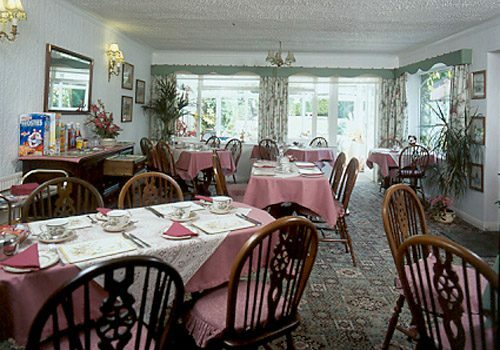 All have recently been refurbished having double glazing throughout, 19″ colour flat-screen television with Freeview. There are also Tea and Coffee making facilities and Radio/Alarm Clocks. Ian and Chris offer a warm welcome to all of their guests. 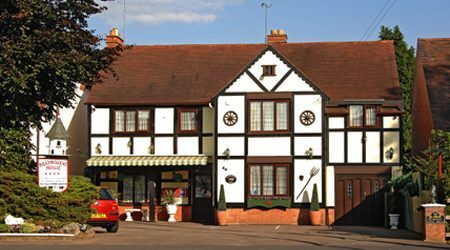 We offer all of the comforts you would expect from a four star B&B so that you can relax and enjoy your stay in pleasant surroundings. The house has recently been refurbished and is centrally heated and double glazed throughout. 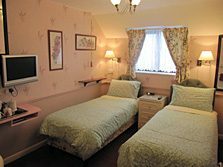 We have six guest bedrooms, one of which is situated on the ground floor and with the disabled in mind, is equipped with grab rails and long armed taps. Please specify when booking if you require this facility.